The State Room, Salt Lake City, Utah will be showcasing the talents of Colin Hay, with special guest Vikki Thorn, of The Waifs. Themes of redemption and renewal come naturally to Colin Hay, as he is in the midst of a remarkable renaissance. While his voice and visage are still familiar to millions from his tenure as front man, principal songwriter, and lead vocalist of pop sensations Men at Work ("Down Under, " "Overkill," "Who Can It Be Now? "), the past twenty years have found him quietly yet tenaciously re-introducing himself to new generations of fans. It has been an organic process, building momentum through constant touring, and film and television exposure. Sister connections run deep. Donna Simpson and Vikki Thorn of The Waifs know all about it. Donna & Vikki are getting back to basics, not as "The Waifs without Josh" but as The Stray Sisters rediscovering their love for singing and performing together. It is through harmonizing that Donna and Vikki forged an intuitive understanding of each other. The Waifs was their public vehicle but at home the sisters loved to sing and connect through the songs they grew up with. With the sisters living on opposite sides of the world and The Waifs temporarily out of action (aside from a one off show in May at the Kimberley Moon Experience), Donna and Vikki both felt the desire to return to the stage, inviting audiences to share in the joy of connecting through song. Touring the nation for the first time as The Stray Sisters, they will be joined by The Waifs alumni, bassist Ben Franz and will be premiering new material, as well as reworked favourites from The Waifs. 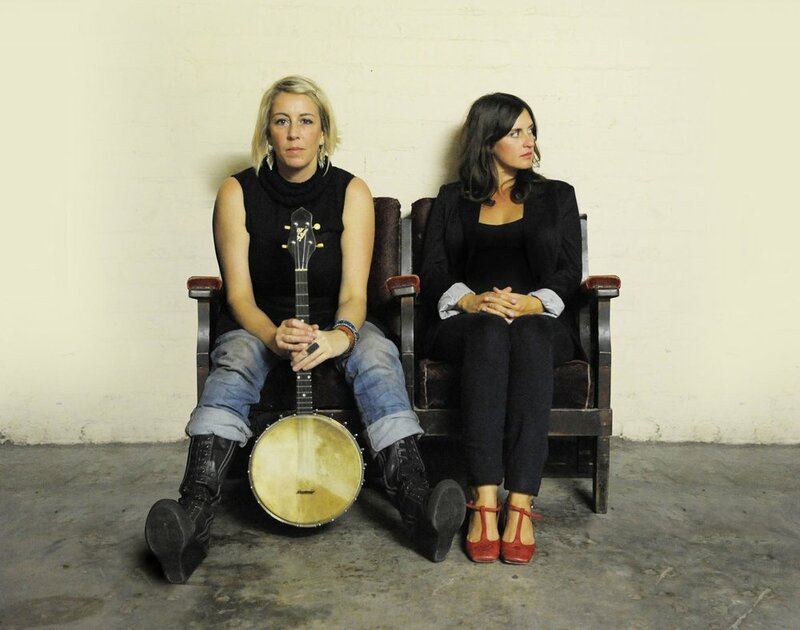 The Stray Sisters will be performing in intimate venues around Australia; places they would have played in their very early days as The Waifs, such as Tilley's and The Basement. They will also be joining good friends the John Butler Trio as special guests in the beautiful outdoor venues of WA. Packing her bags to head around the country with The Stray Sisters will be Ruby Boots (aka the lovely Bex Chilcott) who will kick off proceedings for all shows aside from the festival and John Butler Trio dates. The Waifs went on tour for the first time in 3 years last May kicking off the tour with the Kimberly Moon Festival in Kununurra, the beautiful far north of Western Australia. We had a great time. It was really one of the best tours in terms of feeling connected to our music again and enjoying each others company. A bit of medicine. We weren’t sure if the band would tour again and our 20th anniversary slipped by quietly back in August 2012. With future recording and tours on the horizon I can now confidently state that The Waifs head into our 22nd year together as a band. What a thing ! Who’d have thought ? and all that jazz. There is some serious talk about writing an album together. If this eventuates it would be "The Waifs” first album. An exciting prospect. There is a new depth that age and experience brings to the music now and I am excited to go exploring. It happened so briefly when THE STRAY SISTERS branched out to an overwhelming response. THANK YOU for that. We came out of that tour feeling ready to write and sing sing SING! IT was an opportunity to showcase the songs we write as mothers and wives and present them in a more intimate setting. Donna and I hope to get into the studio to record those songs under the same name, and if The Waifs commitments allow, do a few shows here and there. We are excited to open for the John Butler Trio in my adopted home of Salt Lake City, Utah on August 6th, followed by THE EDMONTON FOLK FESTIVAL August 8th - 10th. This has always been one of The Waifs favourite festivals and we are excited to have been invited to perform as The Stray Sisters. The Waifs feel so very honored to have the opportunity to perform on 1st November this year with THE WEST AUSTRALIAN SYMPHONY ORCHESTRA in our hometown of Albany, to commemorate the 100th anniversary of the ANZACs leaving Australian shores, appearing with Katie Noonan and Dan Sultan. It is surely the dream of every musician to perform with an orchestra, and to do it on such a momentous occasion in our hometown. Well… a career highlight to be sure. Following that we will be at The QUEENSCLIFF Music Festival in VIC. Look out for some random shows in November and December (including playing at our favourite Fremantle venue) until we can organize to record and tour a new album sometime in the new year. We also hope to make it back to the US next summer. Just a reminder that 2/3 of The Waifs - Donna Simpson and Vikki Thorn - will be performing as The Stray Sisters at Red Butte Garden, Salt Lake City, Utah on Wednesday 6th August, opening for their good friend the John Butler Trio. Following this, they will be performing at the Edmonton Folk Festival next weekend. We've had great month and it's not over yet! It was a highlight to play in our hometown of Albany for the Anzac Centenary celebrations. Music elevated, that's how it felt, being onstage with the West Australian Symphony Orchestra (WASO). All of us on stage were riding that high. I think it was Ben who described it as someone putting a warm blanket around you. I heard a gentle beast walking through our songs. Definitely a career highlight. Thanks to Lachlan Skipworth for the beautiful arrangements of our tunes. Thanks also to Morrison Clothing for the gorgeous dresses that added the right amount of class to the occasion and made both Donna and myself feel beautiful. The Stray Sisters got invited to play The Sonic Sessions with the amazing Lucky Oceans at the Fremantle Arts Centre courtyard last Friday. A small intimate vibe with lots of talking, so Donna and I were in our element. Thanks to Lucky for making our songs sound so good. What a honour! Thanks also to the City of Fremantle for putting on the show. Plenty of pics and links on our Facebook pages. Driving back to Freo after 5 days down south writing together. It s been decades since we cruised that coastline. Lots of laughs, sharing memories of the people we met, the gigs in bush halls, and writing songs in the park. Honestly, I didn't think it was possible for us to be in the same country for 5 days, let alone sitting around a kitchen table for that long. Just 3 of us ,the guitars, pens and paper. Lots of ideas thrown into the ring and a few born right there and then. Smells like a new album on the boil, watch it now so it don't boil over. Ahh, what the hell! Let it all boil over, let it drip down the sides and stain the floor. Our 2nd Australian tour in 3 years starts this week in Alice Springs. We are looking forward to going to some rural towns, back down to Hobart and hopefully give some folks a chance to see the band live for the first time. The tour finishes in Busselton which is the first town Donna and I played in after we left Albany in 1992 . Said goodbye to the family today, leaving hubby with 3 sick boys. "Bye honey! I'm off to work, to travel the country, dine out for every meal and play music for a few weeks. Will you be right with the kids?" It was a sorry sight to behold. The sacrifices we make. The good people we have in our lives. So we hope to see you at these gigs. We have some new songs to play and it's interesting to hear how they develop from the kitchen table ditty to the stage . Retaining a bit of the kitchen table is the secret.